SANDALS - Save up to 65% off, Air & Spa Credits, Free Nights, and More! All Inclusive Luxury Vacation from $189 !!! 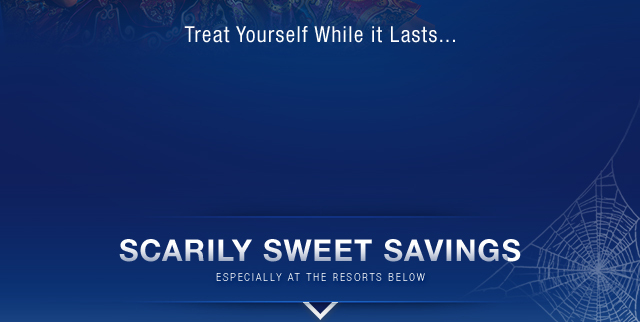 Save up to 65% off, Air & Spa Credits, Free Nights, and More! All Inclusive Luxury Vacation from $189 !!! Usetrite az 65%, Kredity na Letenky, Spa, Free Noc a Viac! All Inclusive Luxusna Dovolenka od $189 !!! up to 65% off, Air & Spa Credits, Free Nights, and More! All prices featured on this email are correct at the time of publication. However, prices are subject to change without notice. Prices are land only, per person, based on double occupancy on a 7-night stay for travel during select dates. Blackout dates may apply. Save up to 65% offer is valid for new bookings made by Oct. 18, 2013 for travel on select dates. Blackout dates may apply. View resort Accommodations Page to see applicable room categories. Maximum 2 person limit for offer. Offer is based on double occupancy, minimum 3-paid nights stay. 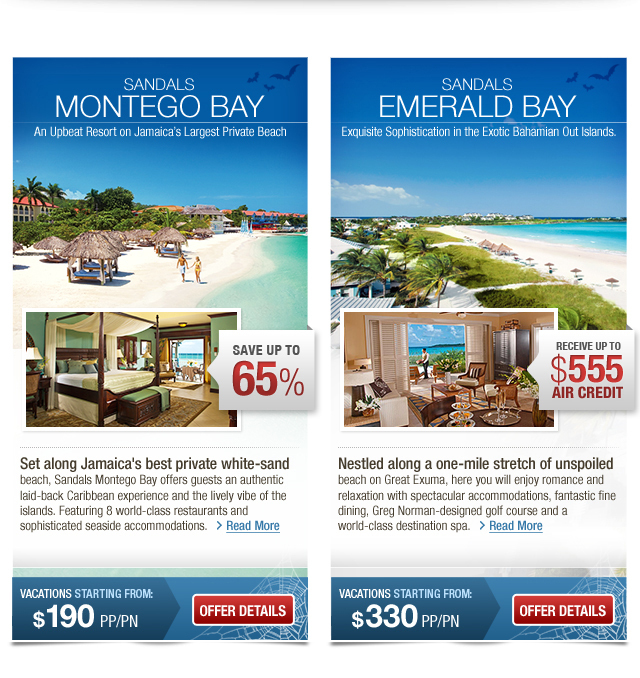 Promotion is combinable with certain Sandals savings promotions for 2013, Group bookings may be subject to space availability. Offer may be changed or withdrawn at any time. Certain conditions apply. Instant Savings Air Credit offer is valid for new US and Canadian bookings made by Oct. 18, 2013 at Sandals Resorts for specific travel dates. Air Credit Specials must be booked in conjunction with a land only or air-inclusive vacation package, which includes a minimum consecutive night stay. Limit of one Air Credit Special per booked room and minimum double occupancy required. For complete offer details click here. Free Night offer is valid for new bookings made by Oct. 18, 2013 at select Sandals Resorts in select room categories for specific travel dates. View resort Accommodations Page to see applicable room categories and required minimum night stay. Blackout dates may apply. 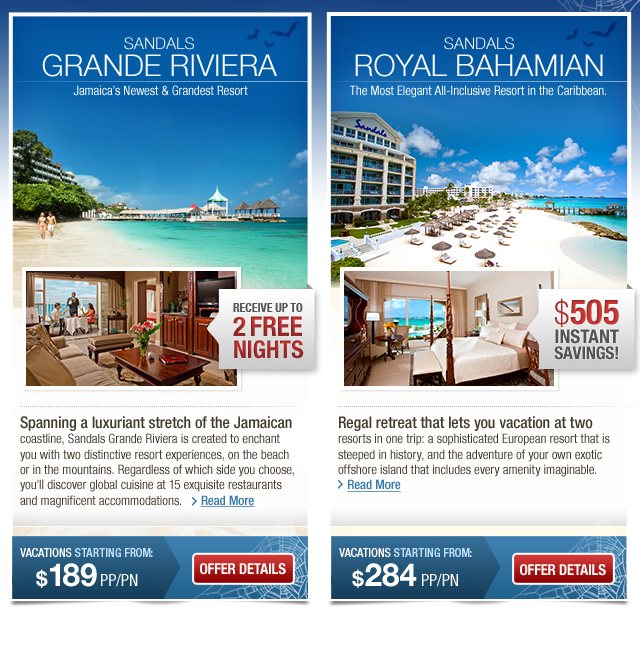 Promotion is combinable with Sandals Select Points, however, it is not combinable with credit night vouchers. Other savings depend on resort and length of stay. Offer may not be applicable for group bookings. Offers may be changed or withdrawn at any time. Certain conditions apply.